Now that both kids are gone from the house, very little of their stuff remains - woohoo! To not wade through clothes, shoes, and other stuff scattered on the floor and chairs throughout two rooms is heaven! 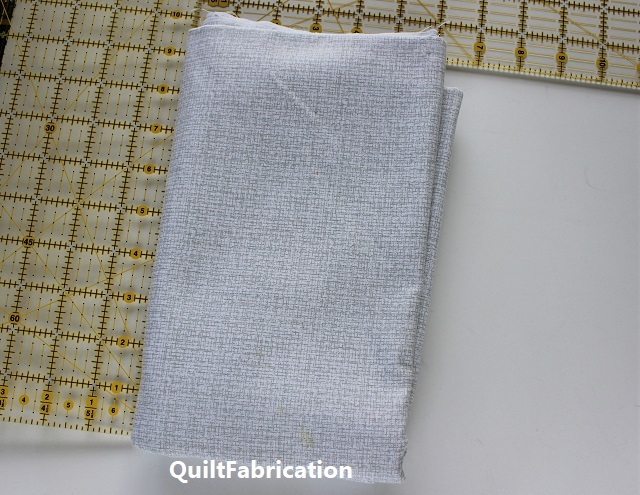 And in the process of cleaning out, several under bed boxes were freed up, one of which I quickly laid claim to for a growing stash of gray fabrics. What is this particular box? 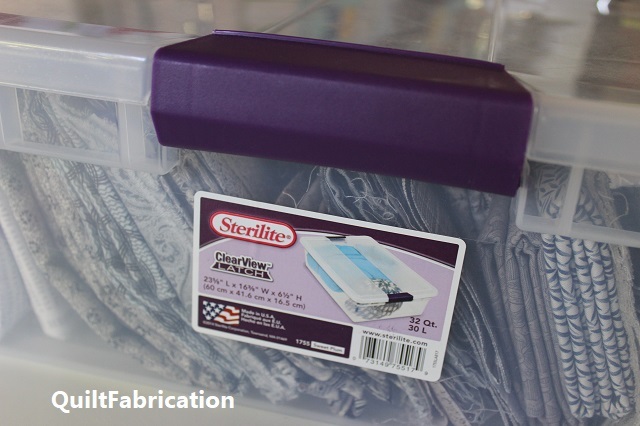 It's a clear Sterilite under bed box, 6 1/2" tall, with square corners and a latching lid system. These are found where storage supplies are sold, for around $8. The other boxes had curved ends, no locking handles, and where a bit smaller, not good candidates for fabric storage. 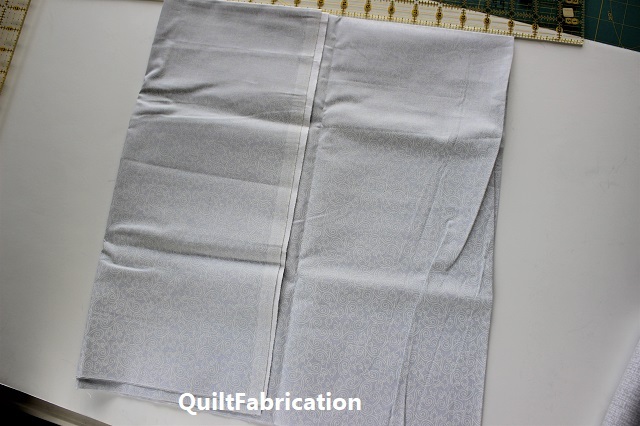 7. when properly folded, fabric is stored on edge, meaning it doesn't get crushed by the weight of other pieces on top. This also makes each piece easily visible, like going through a file folder. 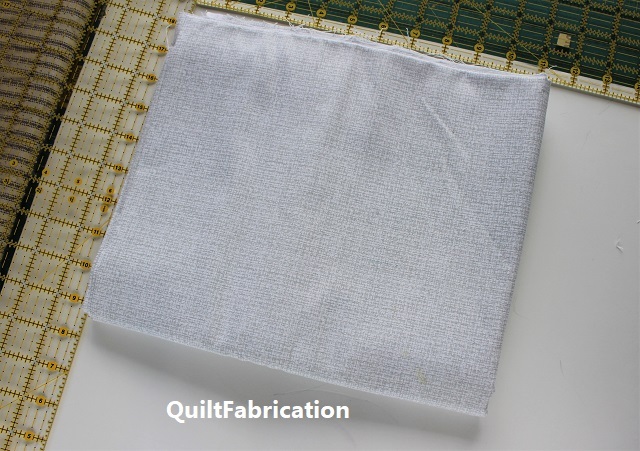 So, just what is properly folded fabric? 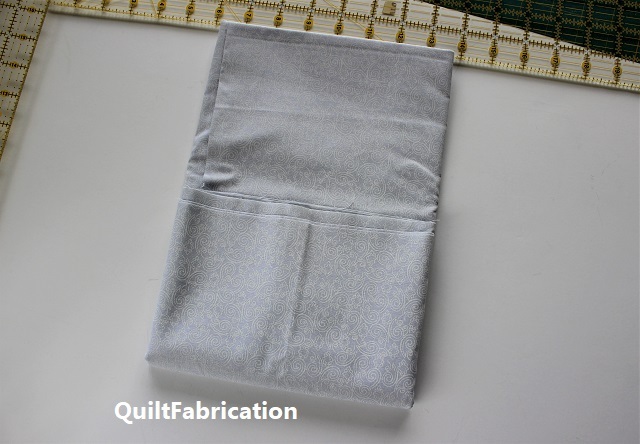 Fabric that is folded to have a 6" dimension on one edge. Since I buy mostly 1 yard cuts, I'll show that one first, followed by larger cuts. 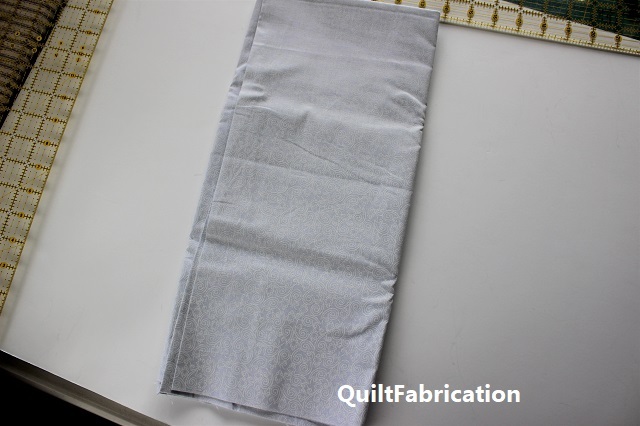 Fold the 1 yard in half, fold to fold, and selvage to selvage. and once again, which is the final fold. This piece measures approximately 8" wide by up to 6" tall, a perfect height for the box. 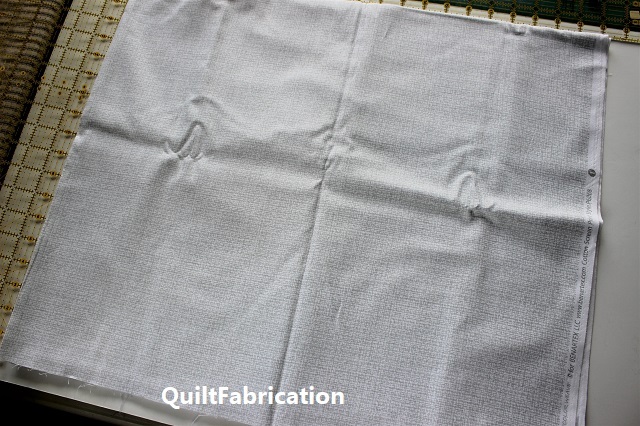 A 2 yard (or more) cut is handled a bit differently, just because there's so much fabric to fold. 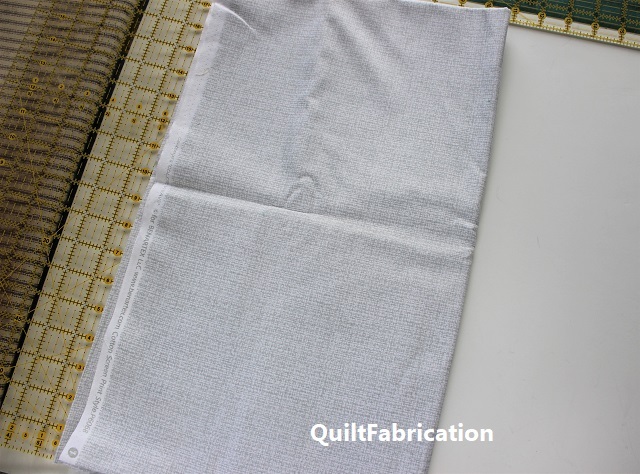 Start again by folding the 2 yards into a piece approximately a half yard tall. then in half again in the opposite direction. 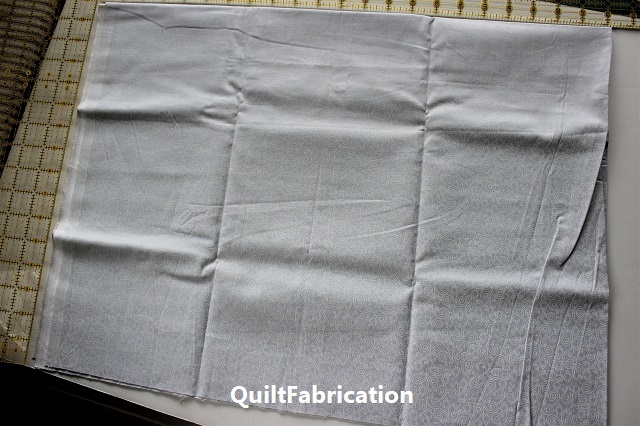 And fold once more, in the opposite direction, which is the final fold. This piece is a bit wider, around 10", but the height comes in around 6", again a perfect height for the box. Here's the two pieces, end to end, showing they're equal in height for the box. And now they go into the box, on edge, easily seen, accessible, dust-free, not crushed by weight, etc, etc. The two pieces folded for the demo can be seen at the white arrows. 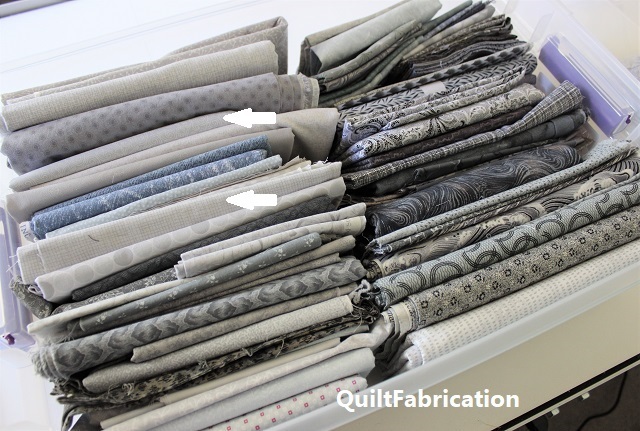 Now, not only am I happy with a de-cluttered house, but all of my grays are together, not in several shoe boxes, a drawer, or mixed in with the black/whites - hooray! Hmm, looks like I have a bit more room in this one, don't you think?? 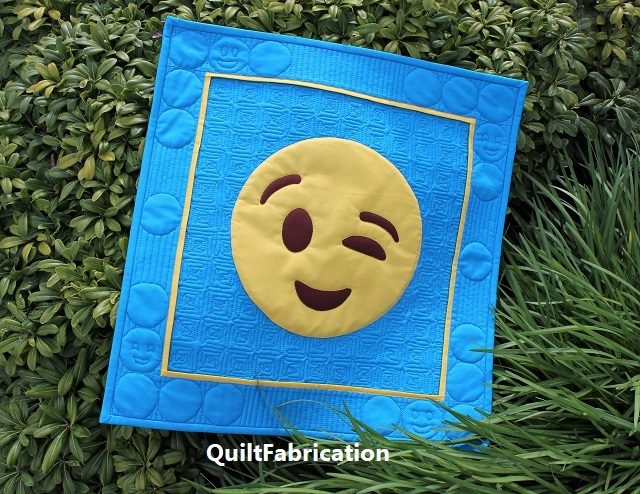 April 22 - 26, hosted by Just Let Me Quilt. 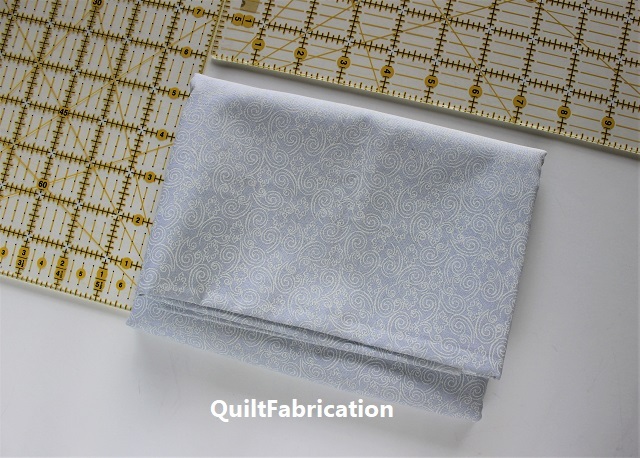 I'm hoping these come together for what I want to make, otherwise, I may be shopping. 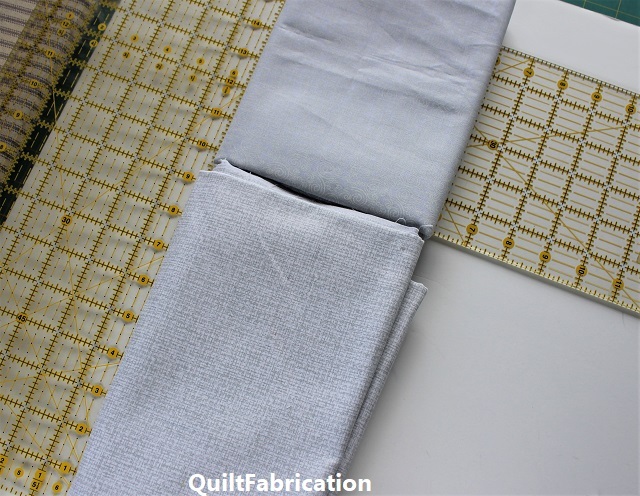 At last week's Midweek Makers, there are a couple fun projects that deserve attention, with no major theme grouping them together - I just really liked them! 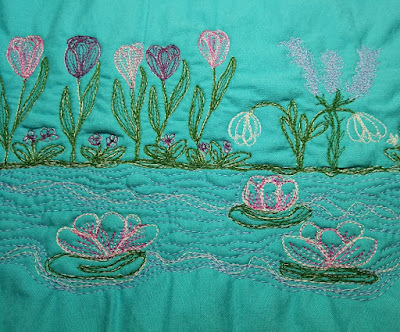 and at Quilting and Learning, this really pretty free motion floral scene. Well done everyone! 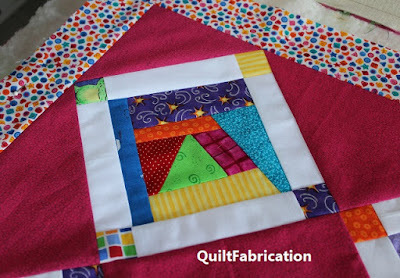 And now it's your turn - link up the projects your working on this week! I'd like to welcome all of my new followers via Bloglovin' - thank you for visiting! Hitting the 800 follower milestone is a big deal for me, as I don't spend a ton of time on social media - I have too many quilts to make! And my goodness - that's certainly been the case recently. 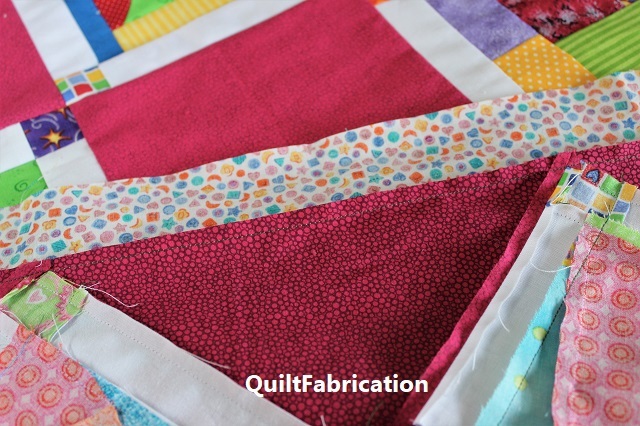 Four quilts in the last four weeks, even with one of those weeks spent in Japan! 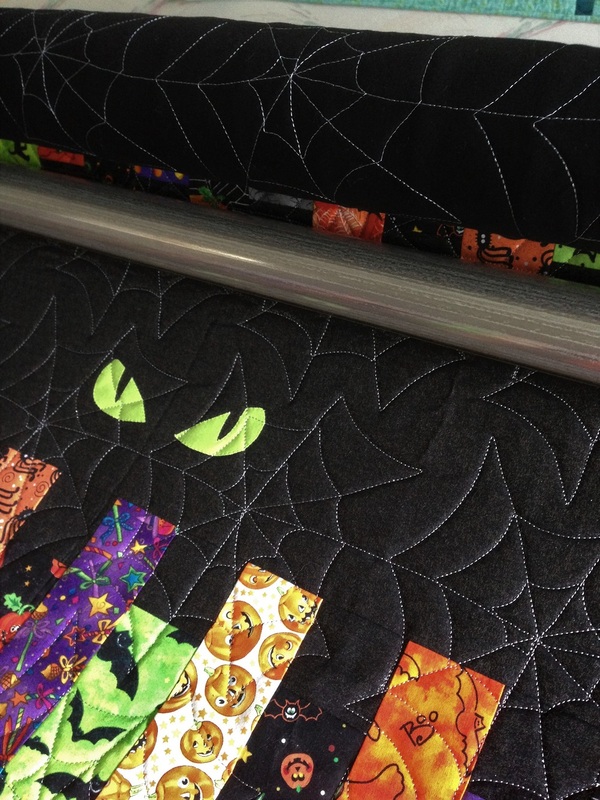 Do I even dare mention that I quilted Cindy's version of my Fright Night pattern with spooky spiderwebs? Yep, I've been busy! So what's next? 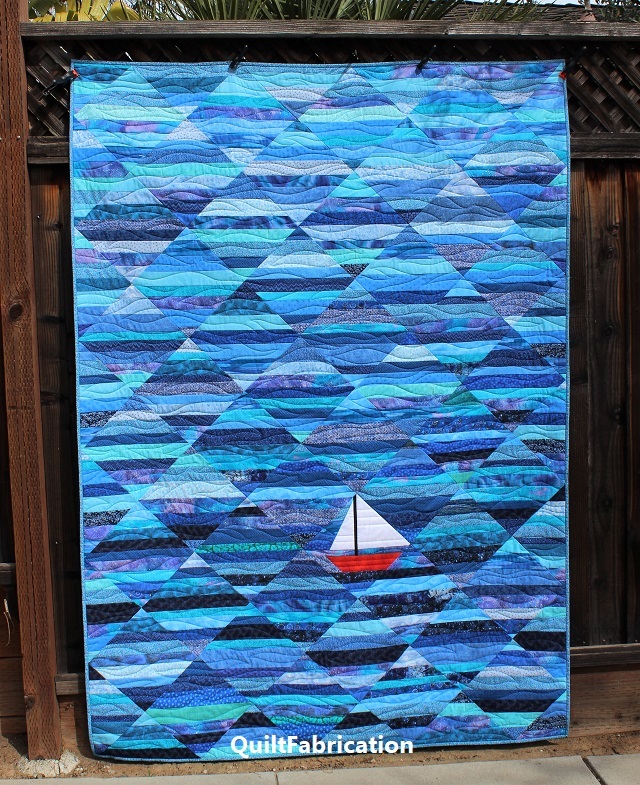 Why a diamond quilt for the Be A Diamond Blog Hop, April 22 thru April 26, hosted by Carol at Just Let Me Quilt. 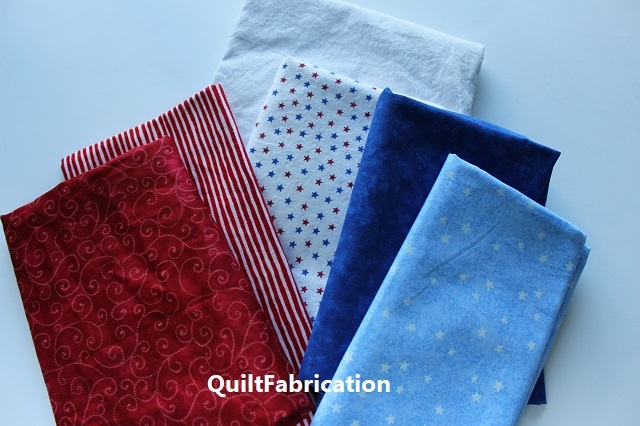 With Memorial Day and the Fourth of July just around the corner, I'm thinking a red/white/blue color scheme - my favorite! I've got a rough sketch on graph paper, and now it's time to see if it's sew-able. Sorry, no sneak peeks, in case it doesn't work. Thank goodness I'm on the last day of the hop! But I will give you a sneak peek of all the participants in the Be A Diamond Hop. There's sure to be lots of eye candy - my favorite! Hoping to have more to show on Wednesday's Midweek Maker's - stay tuned! 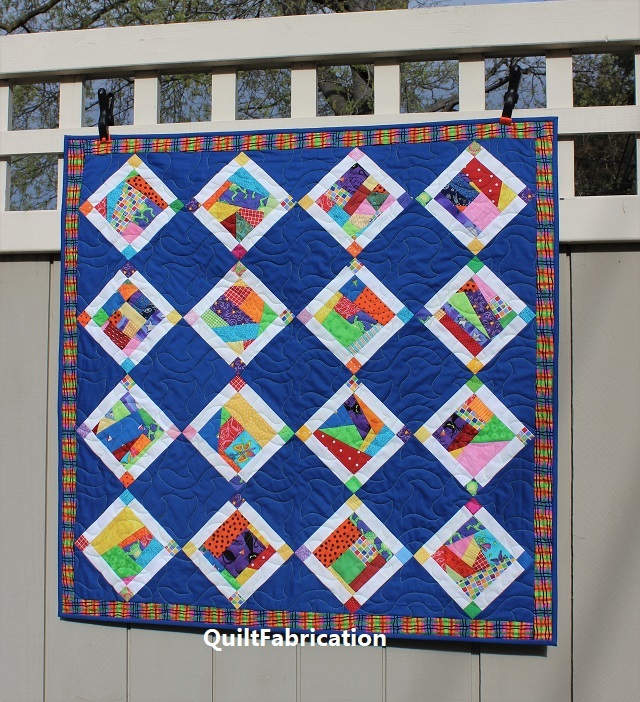 the girl's version of the Crumb Jumble baby quilt in blue from Monday. 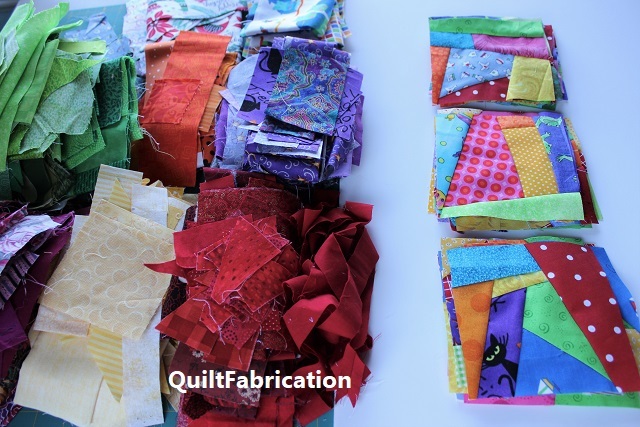 I didn't set out to make two quilts. Turns out I miscalculated the number of blocks needed to make a baby quilt size. I had all of these done, then started laying them out, and realized that 16 crumb blocks were all that I needed. Oops! 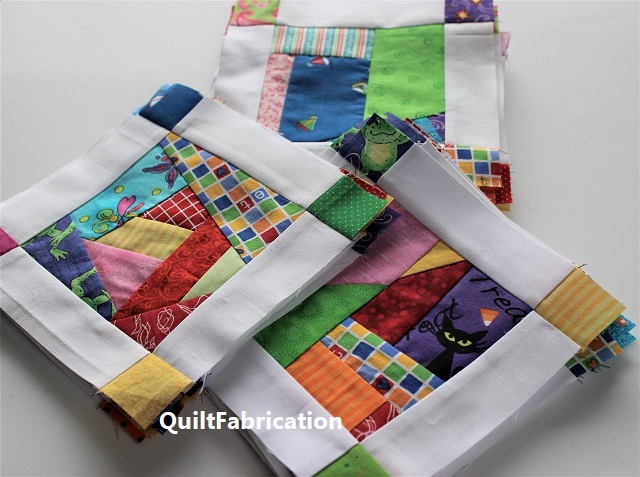 With 14 blocks left in my hand, I just had to make 2 more for 16 and thus 2 baby quilts - one can never make enough baby quilts!! 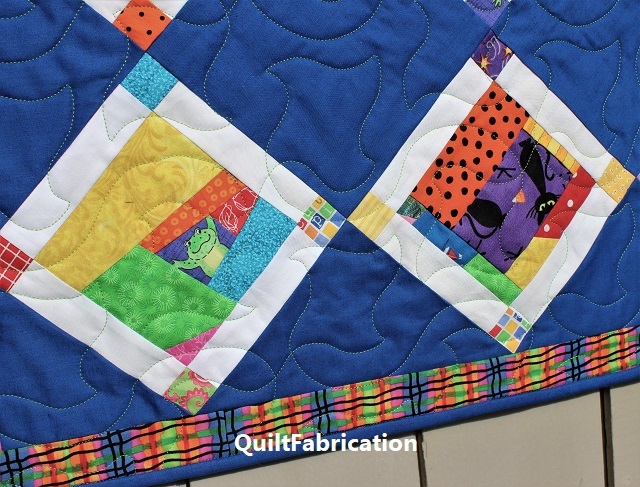 These blocks really looked good with the blue background, but I didn't want two quilts exactly the same. Background color auditions ensued, cause whatever I chose, it needed to be strong to go with the blocks. My first thought was yellow, but there was plenty of that in the sashing cornerstones, which would get lost. Hmm, could do green, but I wasn't feeling it. Purple? Not really a first choice color for me. Aqua? 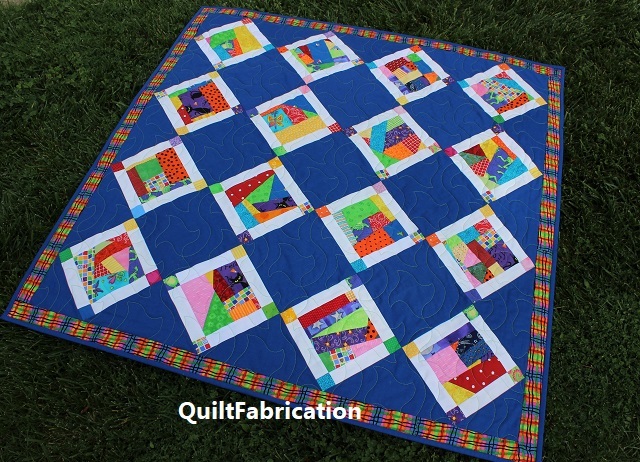 Makes for another boy-leaning quilt. All right, pink. But it needs to be a strong pink to work with all the bright bits in the blocks - pastel pink just won't do here. Rummaging through the stash, I found a perfect raspberry pink. The backside that is! The lower half of that picture shows the small black circle print on the pink. 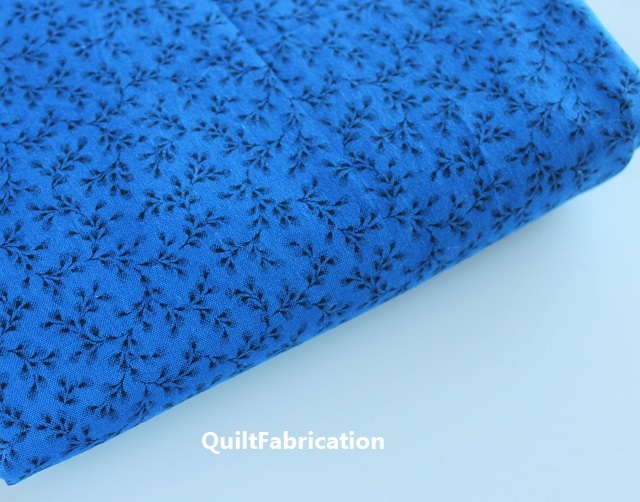 The upper half shows the backside, on the quilt top front, with a slight bit of circle print showing through. You wouldn't know it though unless I told you - yep, the secret is out! This is not the first time I've done that - the solid looking blue blocks in the boy Crumb Jumble are really the backside of this print! Just more creative ways to use up the stash!!! 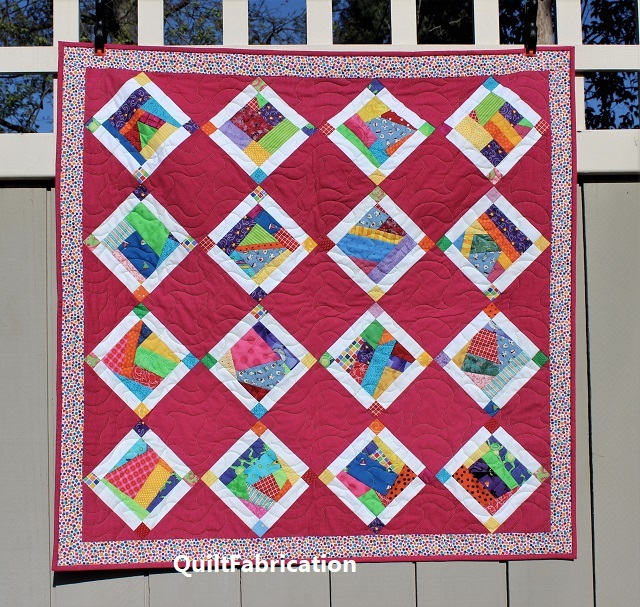 The crumb blocks in the pink version are just as cute, and I found a very fun small print to work as the border. 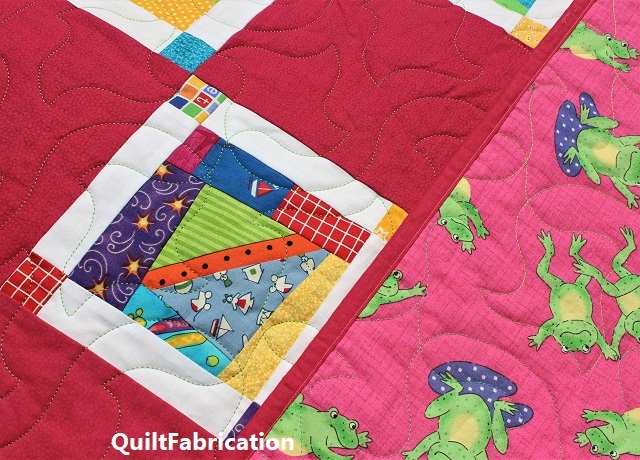 Plus the frogs on the back makes this one a super fun quilt! Lucky kid that gets this one! Monday's book tour also featured a giveaway of a String Frenzy e-book from C&T Publishing - I'm happy to announce that the winner from my drawing is DJ! Congrats! 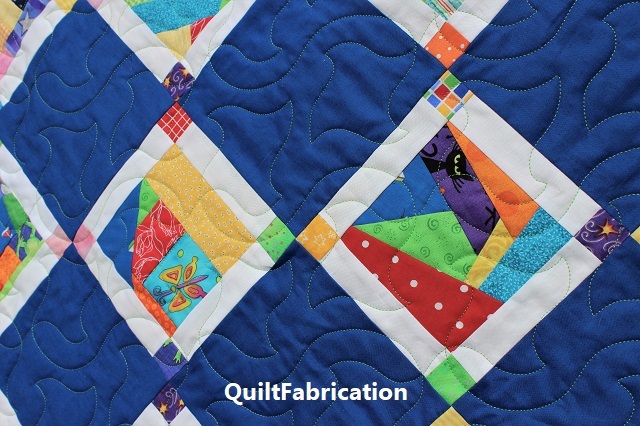 I hope these quilts have inspired you to dive into those scraps of yours - they really can make beautiful quilts! Wow! Here we are again for another Midweek Makers - #170! How about that? I suppose that works out to over 3 years of linky party fun - so let's get started with #170! I think I'm finally recovered from jet lag though it took about 5 days. My head is finally clearing, and the energy is coming back - it's nice to be able to really focus on my projects. Now I'm playing catch-up big time! 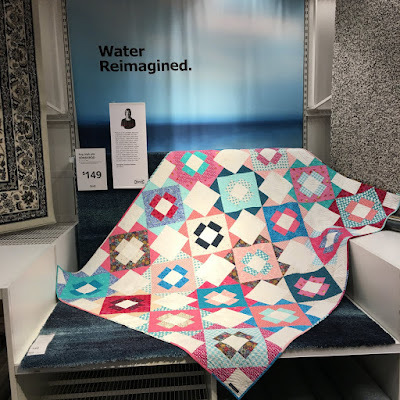 I still haven't had a chance to visit everyone from the last two Midweek Makers, or from the blog hops - there's a lot of beautiful quilts I'm missing! 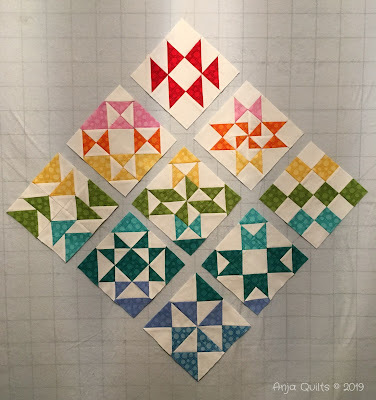 I do have an update on the girls version of the Crumb Jumble quilt - it's at least on the frame, though a couple customer quilts took precedence before it. There will be more on this one later. And what have you been up to this week? Come show us! Welcome to my day of sharing for the String Frenzy (affiliate link) book tour - a baby size version of Crumb Jumble! Did I say book tour? And did I mention a giveaway? 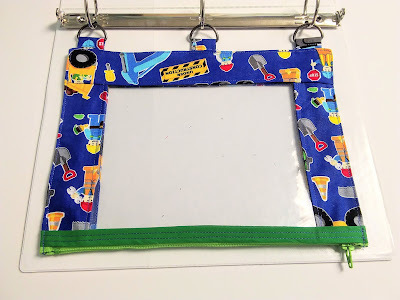 I chose the Crumb Jumble pattern in Bonnie K. Hunter's book, String Frenzy (affiliate link), because it's a great pattern for busting some my bright scraps for a baby! 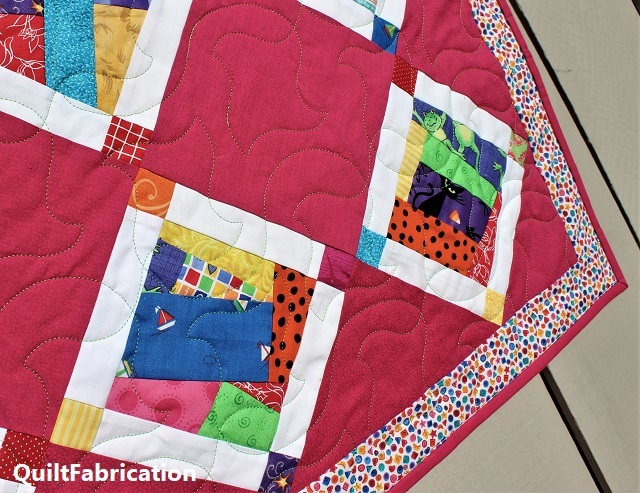 the result is a pretty awesome baby quilt! The backside is just as fun, with the sun, the stars, and the moon. 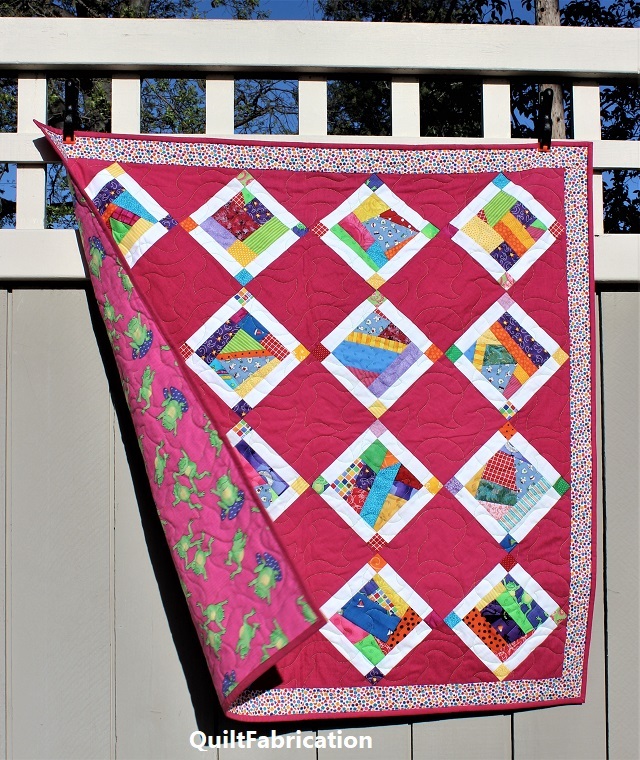 The original Crumb Jumble pattern in String Frenzy (affiliate link) is for a 72" x 84" quilt, which being my usual self, I resized for a baby quilt. 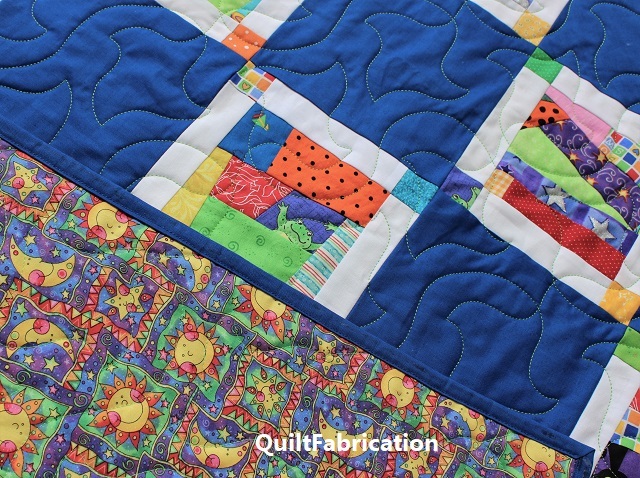 Turns out, I over-estimated the number of blocks, and so will have two baby quilts instead of one. Once I get the second one together, I'll show it off too - it's going to be a girl's version. And if you've gotten this far, there's a giveaway for an e-book copy of String Frenzy - just leave a comment below to enter to win! I'll draw at random on April 11 - be sure I have your email address for C&T to send it along. And for a second chance to win an e-book, hop on over to this C&T Publishing site to enter to win!